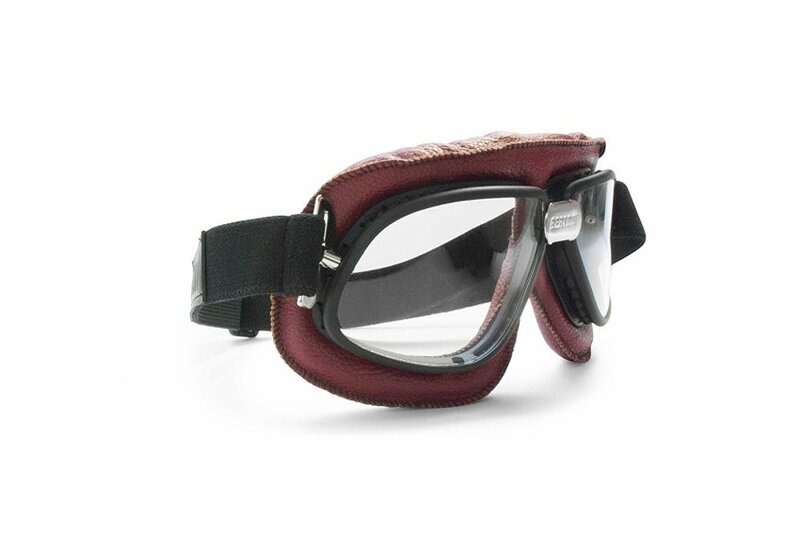 Vintage Motorcycle Goggles in RED Leather and black Stitching with Clear Lenses. 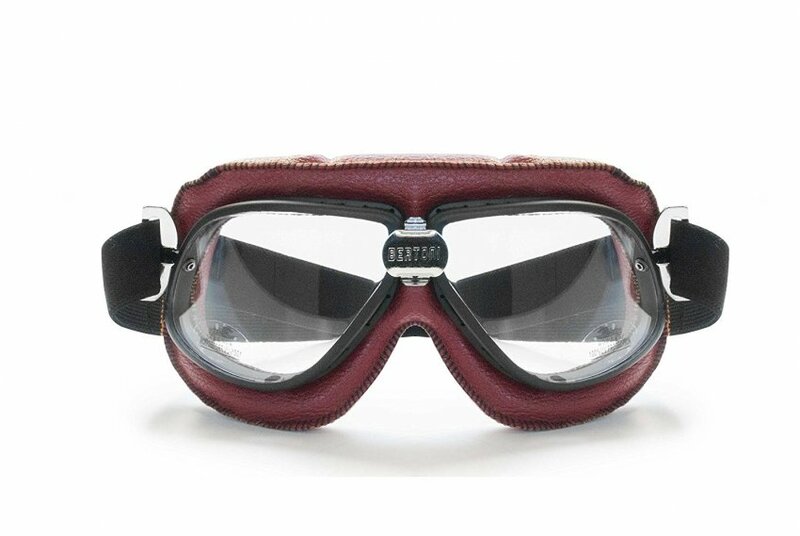 Frame: RED embellished with RED stitching and chrome plated nose-bridge. 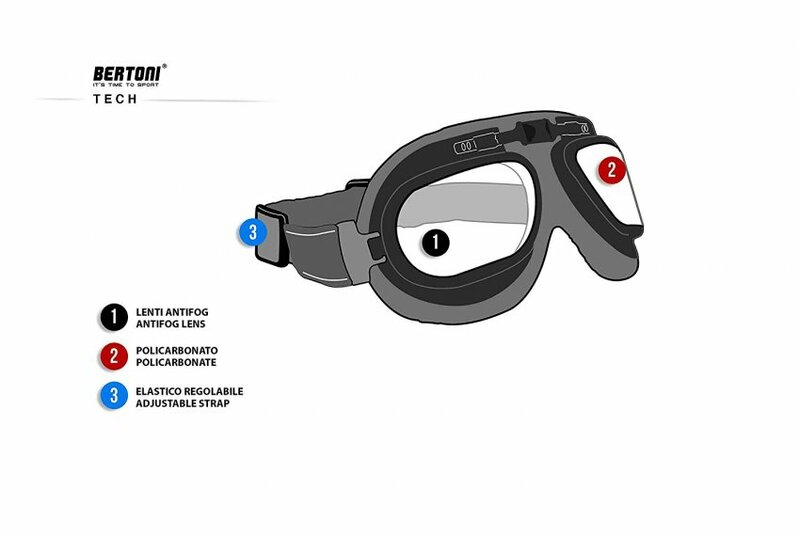 Clear lenses polycarbonate 2.4mm anticrash. 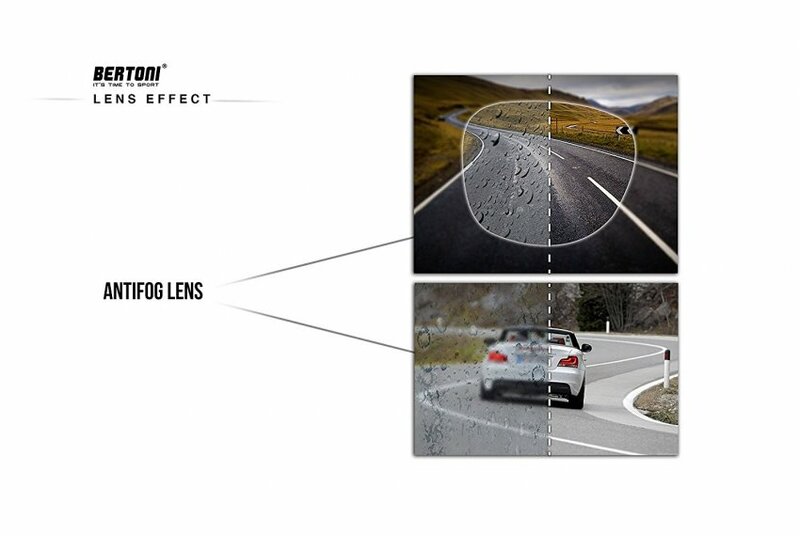 Lens: Drop Ball Test certificated and 100% UV protection. 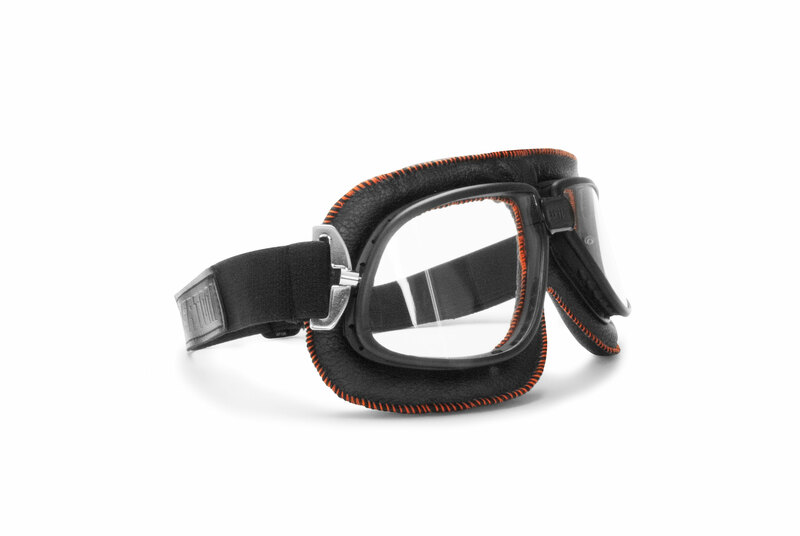 Strap: adjustable in order to fit any helmets. 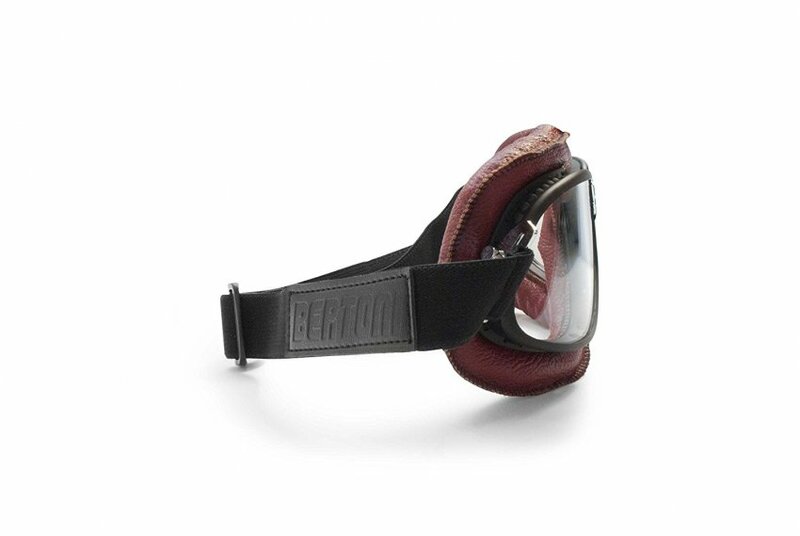 AF196: a motorcycle vintage goggles made in leather, typically of the american bikers. 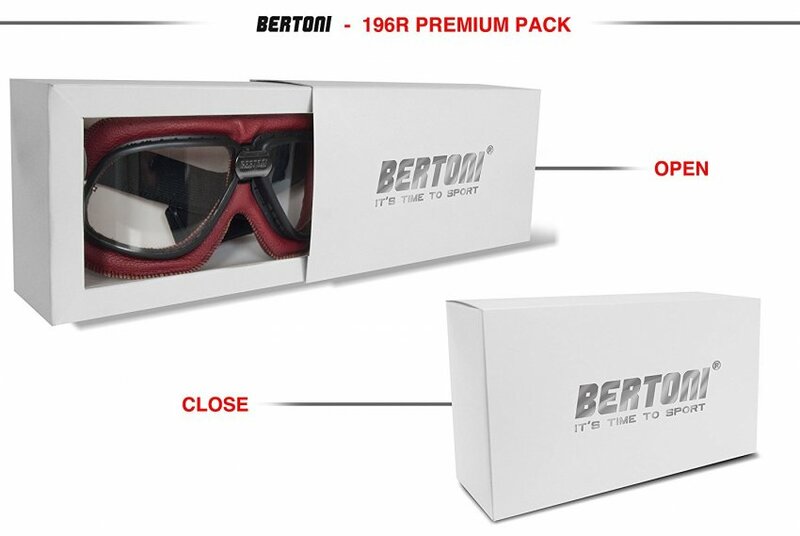 The lenses are made in polycarbonate, 2,4mm of thickness, anticrash, with CE, FDA and drop ball certificated, 100% UV protection as all our goggles and sunglasses. 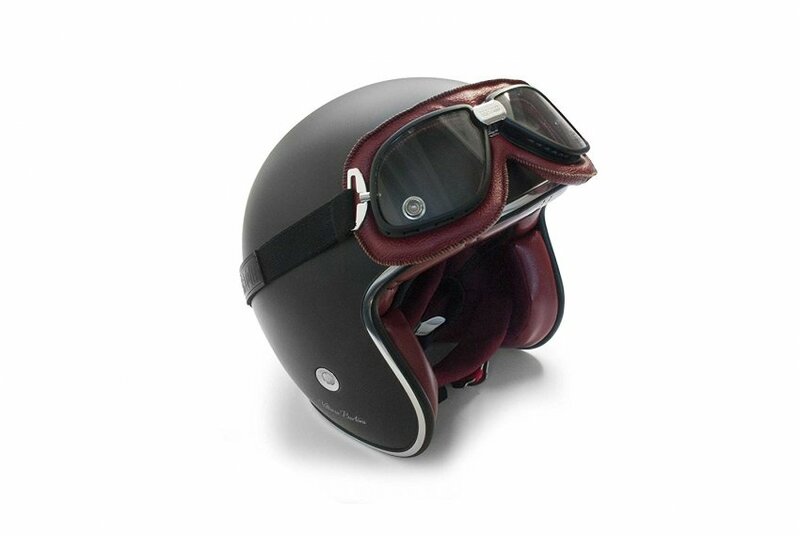 The elastic strap is adjustable, to fit perfectly on all the open faca and vintage jet elmets. 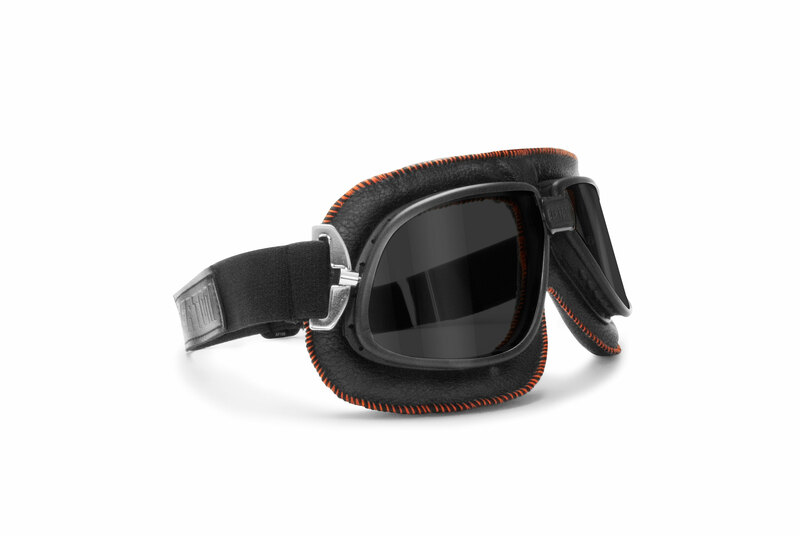 Original style and colours dedicated for Harley Davidson and chopper customers.